Being married for 10 years has had its ups and downs like most, and we certainly don’t spend every minute of the day together, I believe in personal space even being in a relationship, but I do also like our together times too. We aren’t all over each other like a rash and we don’t always cuddle up at night. I like being left alone for some of the night, as I feel that this is my time to try and switch off and be in my own thoughts. What we do have is understanding. We know we want to have that time together and when we want that space. You just sense it by the body language and the fact that my husband has his face berried in his tablet like myself at times. 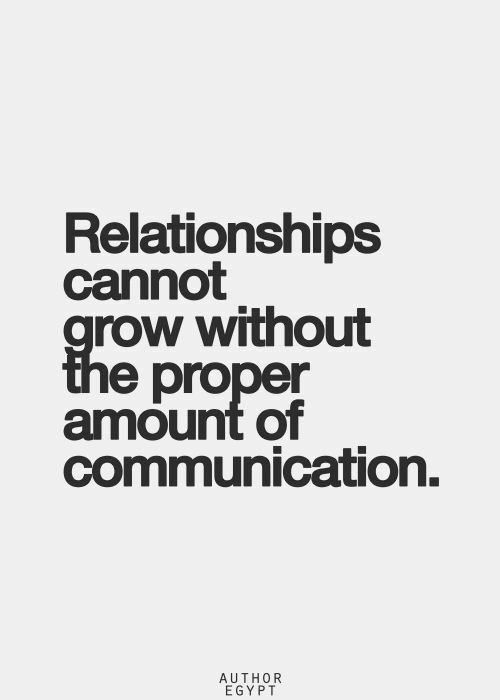 Building relationships whether it be romantic or not, is part of the human being. Learning how to be around other people, respecting the other persons boundaries, even though you do get those who try and break them. You learn how to compromise and how to pick up tips from other people, which can inspire us. We look at someone who we idolise on the TV as an example and we see the life they have to what we have, and we think “Wow I would love to experience that” so even though you haven’t met the person, you have already formed a relationship with that image of that person. You build up this admiration for them, you love their voice, what they have to say, their talent and sometimes you can feel as if they are a part of you. You want to know how they are like that and how can I be like that too? 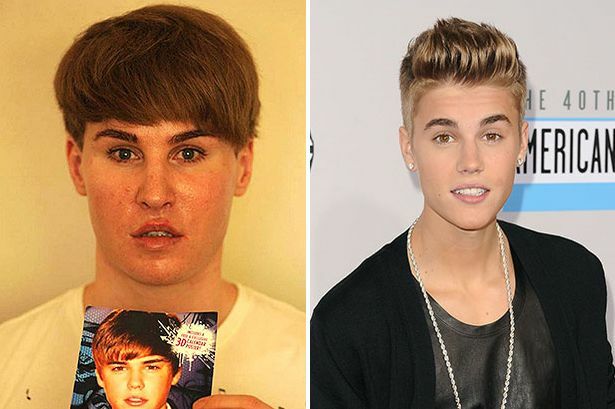 Above is a photo of the extreme, those who go to lengths to look like someone else, but is this a good relationship. I always think it is dangerous route to take. Idolising someone is different to copying someone completely, and that can be a bad relationship. You can never be like someone else. You don’t know their thoughts unless you are a mind reader, only the person themselves know what is going on in their head, and your chasing something you’ll never be. However you can also learn from this too. Look at how they walk, talk and stand, why they have so many people admiring them, and you can use their body language to help you too. Language can really help when building relationships, as a lot of the time when a relationship breaks down, what usually comes up is the communication. The lack of it. When they talk to you it feels like an attack or a criticism. We can often feel that they don’t love us anymore because they are talking to us differently. We can often put up a barrier in our communication, because of our tone of voice. We can sound like we are too busy with something else other than that person who loves us, but we don’t mean to, we get caught up in the everyday and we forget “Oh this person loves us”. Or when we try to talk to our partners we can often feel they no longer want to talk to us, when if we waited for them to finish what they were doing, and be patient then that person will talk to us, once they are ready too. We can be demanding “Why aren’t you talking to me” “Why are you not responding the way I want you too”. We often complain because we expect at times for our love ones to read our minds, but they are human too, and no man or woman is really a mind reader. I am no relationship or marriage counsellor but I am a married woman, whose parents divorced when I was reaching the end of my teen years, and it was tough seeing the break up and being in it. 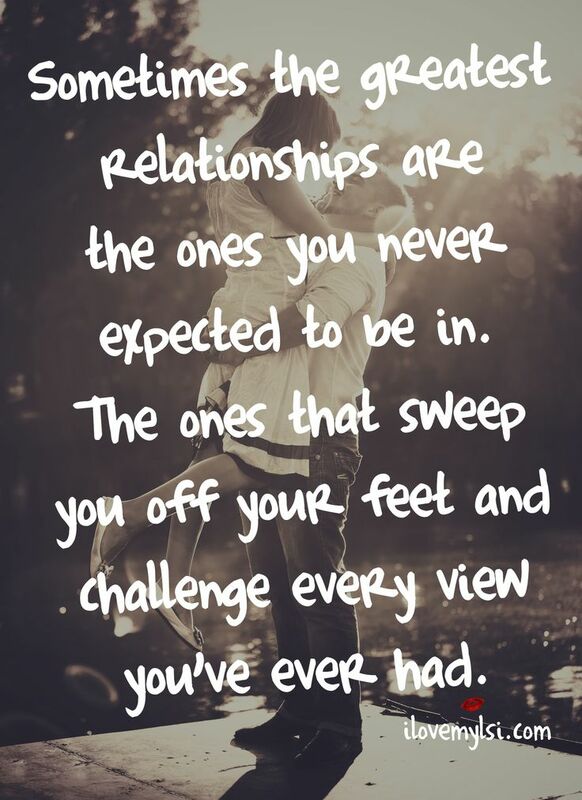 Once we take the pressure off from a relationship then both parties can feel relief. I know when I have piled too much pressure on mine and my husbands, because I have had too much of an unrealistic expectation. Like on days out and he hasn’t wanted to walk on further along the river, he can’t see what I had planned, he didn’t play out my head to see “Oh she wanted to go and walk along the River Thames to have a drink by Tower Bridge” no it was all in my head, but as soon as he didn’t want to walk that far, I felt hurt that I had spent all that time planning in my mind of the day. I felt he didn’t care because I had this ideal image of the day, that I never mentioned until he didn’t want to go there. I kind of expected him to know. How? If I had said from the beginning I would like to go and have a drink near tower bridge, I had planned it since planning this day, then I am sure he would have said “Okay” but I didn’t. This again, was down to me not communicating correctly, which once I realised that I quickly learnt from. My job in customer service, one thing it teaches is how to form good relations with customers by using certain words and effective communication, but when it comes to using these lessons at home, there is often a communication break down. So from looking outside of my relationship and from others I have witnessed, the important parts of building a relationship is quite simple. Understanding, communicate effectively, pressure off and compromise when required. Christmas can bring a mixture of emotions. There are those that thrive at Christmas who can’t wait to get out their Christmas Reef and decorate their home and attend those every year get together’s with family and their work Christmas parties. Then there are those who dread this time of year. They feel uncomfortable when it comes to being given a gift, as they aren’t used to showing delight, and now they feel they have to put on a show of gratefulness. Even if it is another pair of PJ’s or socks. Dreading the Christmas party all those people in one room, to some there is nothing worse. Reading an article on the website http://www.mind,org.uk in the UK 1 in 4 adults feel anxious about social gatherings during the festive period. I felt it the other day, when I went to attend a Mulled Wine and Mince pie evening at my son’s nursery. It was to look at our beautiful children’s art work and discuss about our children and how they were getting on at the nursery. There was one point when talking I felt myself begin to stutter and became tongue tied and self aware, so as soon as I felt I was doing it, I stopped took a breath just for a second and then carried on. It is learning the triggers of when you feel the anxiety and self consciousness step in, that can help you. To me it feels like a I have a widget just above the stomach and I can feel it raising higher up into my chest. Also it is okay to say you have an issue aswell. I talked to them about me as a child and what my fears were at having my own children that they would go through the same feelings I did at nursery and at school, and it really helped. Talking to someone about it first going through the feelings you feel can really make a difference. If you are dreading the Christmas party, as with all the mind matters that I write about, one thing I would always recommend is to write it down and take perspective on your feelings. Ask yourself when did these feelings begin? Knowing how it feels when you dread meeting with people I want to help others to prevent those fears and feelings too. So addressing the history of those feelings, like if you have suffered bullying, you are paranoid because a passed event took place and it plays on your mind still and you worry in case it may happen again, is a great place to start. You are worried about what to wear, you are fed up of feeling you don’t fit in, and that like I experienced in one of my work places, they only found me fun when I was drunk. The last time I saw these particular colleagues was when I had met up with them in London, and we were having a laugh, I had a drink and I had decided to pop to the lavatory. Coming back and retrieving my drink, I noticed it was suddenly tasting funny. It was only when I pressed the person who was looking after my drink, got stroppy and said “We’ve put a Tequila in it” and laughed. I was quite taken aback and I didn’t say anything but I was not happy. They basically spiked my drink. Now I am always up for a laugh, but the one thing I do not agree with doesn’t matter what it is. You should never spike someones drink. It is so dangerous, and what if I had, had a sudden allergic reaction. You just never know and people have and so from that night I decided perhaps it would be best to stay away. I have never been in contact with them again. It did make me avoid work parties and I only began to go out with my friends I know from school and I know I can trust. 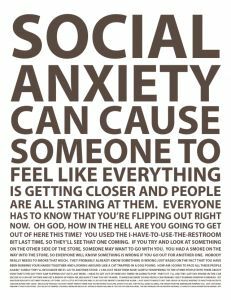 Going back and addressing the issues that first caused you to have the feelings of social anxiety can help you. Anxiety, as I have spoken in a video about, see video below, is an emotion that is there to protect us, but not control us. When we have anxiety of any form it can usually be the “What if’s and who is going to be there”, “What if I trip and fall, I have my skirt tucked into my knickers again like last time”. It can be a medical issue that can hold us back. If you are worried about your breath, you are bloated and don’t want to break wind in front of everyone when having chat and a drink. I know people will laugh at this, but it can be something that worries people and causes them to fear other people. Then ask what could be the best thing about the Christmas party? What good things could happen? This will help you to get in touch with your positive part of the brain. It can feel at times so easy to listen to the negative part of the brain, because if something does happen, it’s that holding up your guard, as if to say you had kind of expected it, in some way, then it won’t be such a blow to the system if something does happen. If that is the case let me ask you, will it make you feel any better knowing you were right that the worse thing did happen? Another way of addressing such issues, is by grabbing a notebook, and right the best things about (using the Work Christmas Party as an example) of what could happen and why you should go, then number each line, from 1 to 5, and write down 5 things, doesn’t have to be an essay or many words, but to the point, of the really good things that can come out of the evening with your colleagues. Then on another page or underneath that write a list of 5 things, that you are worried about. Then you want to from 1 to 10, mark down the possibilities of each item you are worried about. For example, I am worried about looking too pale and if you feel the probability is a 9 out of 10, then what would help reduce that probability? You watch programmes like TOWIE where it is fake tan galore and perfect skin and nails, but remember they have been dolled up for entertainment and would have spent ages in hair and make up. There is no harm in pampering yourself, build the areas you do like about yourself. To address the first item you are worried about, list 5 things you do like about your body and appearance. I wouldn’t recommend sunbeds due to how bad they are for you, but you can get tinted moisturisers. Exfoliate first and then use tinted body cream or wash off tan. Make sure you choose a tone that suits your skin. The last thing you want to look is orange, but have a healthy glow. However I do think pale skin can suit a lot of people. There are stars like Nigella Lawson, who oozes paleness and was seen as a domestic goddess. What would increase your confidence in this area? Choose an item of clothing that will help reduce the paleness. For example, red always suits me and blues. Finding the right colour clothing for your skin tone can make a huge difference. Show the assets I do like. Do you have a cleavage, do you like your legs or arms? There is an outfit that always suits me. Go and look at it and put it on and ask yourself, why this outfit always gains me compliments? My hair, I always get people saying how lovely my hair is. What could I do that will make me feel more elegant and take the eyes of my pale skin? Could I be anaemic? I am being serious, I was pale as a child a lot and it turned out that I had a low immunity especially during my periods, so you may be lacking some iron in your body. Worth getting checked out. Then do the same for the next one in your worried list. You have to be honest with yourself. The more honest you are the more you will find the answers and be able to help build your confidence in social situations. Then write 5 things of how you will feel if you don’t go to the Christmas party? Then close your eyes thinking about what you have written, play the movie of the image of you at the Christmas party. Picture both images, the areas where you are worried, and the areas where you have written down that you feel would be a good idea to go to the Christmas party. Start to reduce the negative image of you at the Christmas party and increase the positive image. Keep imagining this until the negative image is a dot and the positive image is so big you feel you can almost touch it, then imagine the negative image going completely. Do this several times, before the party, and this will really help you to fight against the anxiety and not allow your social anxiety to hold you back.